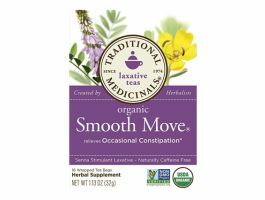 It isn’t the most well known product around, but smooth move tea has been making its rounds among people who are looking to lose weight or have issues with constipation. In this article, we take a look at the smooth move tea side effects. This way, you can make an informed decision on whether this product is something that’s worth using or not. If the side effects are just too much or cause more harm than the good the product can, you’ll be able to search for other products to use. 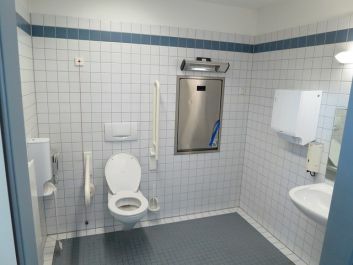 After all, there are a ton of effective weight loss products, as well as those that are designed to remedy constipation. 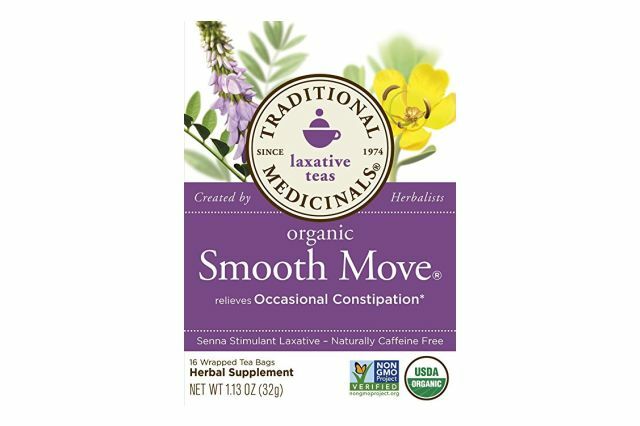 Smooth Move Tea is classified as an herbal tea. It is a tea that contains Senna as its primary ingredient along with Licorice root. The product claims to be good for constipation as well as weight loss. So, in essence, it is similar to the tea you see people drinking. The only difference is that the product is packaged as a constipation remedy as well as something to help you lose weight. Most other teas, like green tea and oolong are beverages to enjoy. They do come with health benefits as well as side effects, but aren’t marketed as any kind of health product. Instead they’re meant for regular consumption much like coffee, juice or milk is. Here’s a look at the main side effects of this product. Since Senna is the main ingredient of the Smooth Move Tea, it is advised to use the product with caution. The product should not be used more than one week. This is so as to avoid any side effects. Long term use of the tea can make changes in the substances in our blood. It can change the balance of electrolytes in the blood. And when the balance of electrolytes is disrupted, it can result in muscle weakness and other major organs dysfunction. Another issue that users have reported is experiencing gastrointestinal issues after consuming this tea. In fact, severe abdominal pain has been reported when using the tea. Thus, it is recommended that you use the tea only in moderation. However, those who are experience the likes of diarrhea, intestinal blockages, appendicitis, stomach inflammation and other stomach problems should completely avoid the tea. The tea’s active ingredients might make your condition worse. Low electrolytes in the body may result to hypokalemia or hypomagnesemia. Hypokalemia or low potassium affects your muscles and nerves. And it can be dangerous to your heart. Among the effects of hypokalemia include leg cramps, muscle weakness, fatigue, constipation and irregular heartbeat. Low Potassium can also result in paralysis. Hypomagnesemia or low Magnesium on the other hand, is a result from the abrupt decrease of your body’s potassium and calcium levels. It can also be caused by low consumption of magnesium. Or, medication that affect your body’s magnesium stores or absorption. Low electrolytes can likewise result in hypomagnesemia. Symptoms of low magnesium include muscle cramps and weakness. It also presents itself in fatigue and convulsions. Serious hypomagnesemia can lead to a respiratory attack, cardiac arrest, and even death. This condition, if not properly treated can be very critical to your health. This is a condition that results from a low level of sodium in the body. This isn’t a problem for most of us because sodium is found in almost all foods, even if you don’t add salt in them. To add to that, we’re known to consume and put way more salt in food than what’s needed. However, losing a lot of sodium from sweat, urination or some kind of medication can cause this condition as well. When your body is low on sodium, you cells swell because there’s to too much water. This condition often results in muscle cramps and weakness, headaches, nausea, vomiting, and convulsions. In severe cases, it can result in a coma, hallucinations, and even death. Since smooth move tea’s active ingredient Senna can cause abnormalities in electrolytes in the body, it then follows that it can also potentially increase your risk of heart disease. Or, consuming this beverage can worsen any heart problems if you already have some type of cardiac condition. 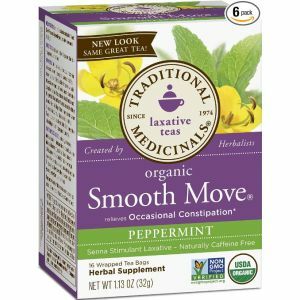 Smooth Move Tea can actually aid in constipation. But, it can also work the other way around if taken for a long time. Taking it for more than two weeks can cause your bowel to stop its normal function. This results in having to depend on laxatives. This tea can also cause diarrhea, as some users have claimed. This is why it is suggested that it be taken in low doses in the beginning. This way your body can adjust to the changes gradually. Overdoing it can lead to constant diarrhea. And, severe diarrhea can cause dehydration. This in turn, can result in abnormal or low electrolyte levels in the body. When this happens, various health conditions will start to appear. These can range from the mild to severe depending on how serious your electrolyte problem is. Smooth Move Tea as a diet supplement for weight loss that works in a short term basis only. Long term use will bring about all the side effects in the body. Thus, it is best to take careful consideration before trying this diet supplement. Overall, this is a product you should pass on. There’s just way too many things that it disrupts in the body. And while it may help in relieving constipation. And may help you shed a few pounds. You’ll be compromising the other parts of your body to gain these benefits. Basically, you’ll be swapping out one or two health issues for other health problems. That doesn’t really solve anything and puts you back into searching for a solution to what ails you.